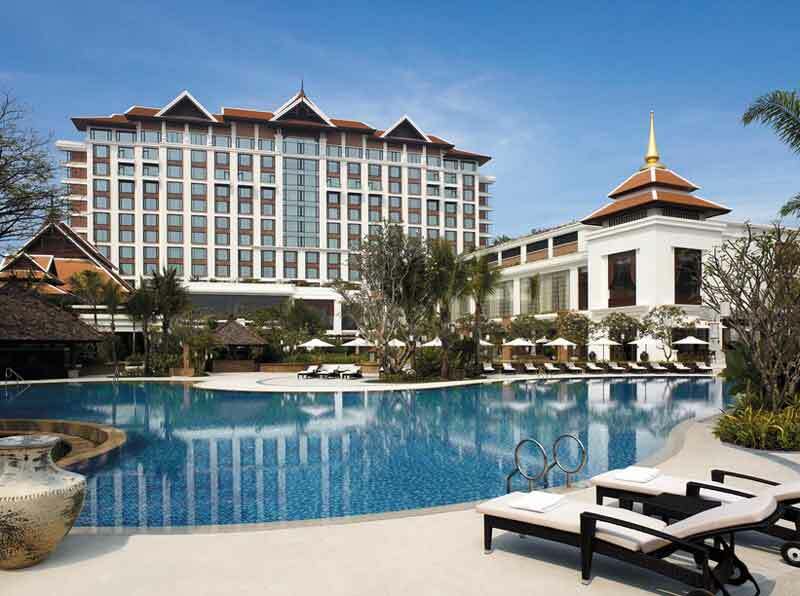 The Shangri La Hotel in Chiang Mai is one of the best luxury hotels in the area. 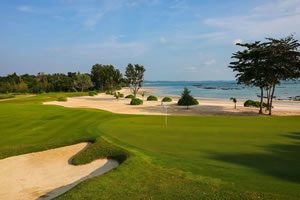 With its great location and immaculate service to their guests this hotel has everything a discerning golfer can wish for. 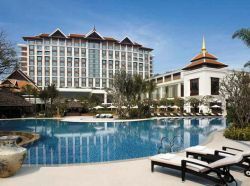 The large guest suites are all in modern Northern Thai Style designed with silk pillows, beautiful artworks and special tea sets. 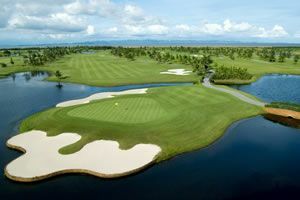 The hotel also has a beautiful Spa where you can revitalize and rejuvenate after your round of golf.